Thanks to SOLIDWORKS Sell and its team, you can now create your own custom jewelry directly online on the website of Maison TOURNAIRE. Some collaborative work to refine SOLIDWORKS Sell and the mobilization of many different skills were required to develop this customization platform. A combination of skills between the Maison TOURNAIRE and SOLIDWORKS included: 3D design, 3D rendering, UX design, web integration, 3D printing, lost wax casting, polishing and packaging. Maison TOURNAIRE is the first jewelry company in France to use SOLIDWORKS Sell, new software that enables the general public to quickly create customized products without any CAD knowledge and have them manufactured under the control of the brand’s owner. The result is a unique and intuitive customization web platform that allows you to quickly and easily create your unique customized ring, which matches the memory of your travels or your dreams of distant destinations. This first online customizable jewelry piece was naturally focused on the popular Architecture ring collection of the Maison TOURNAIRE. The artistic inspiration for these rings was born during the journeys and encounters that the creators Philippe and Mathieu TOURNAIRE made during their lives. These rings could represent memories of your own. 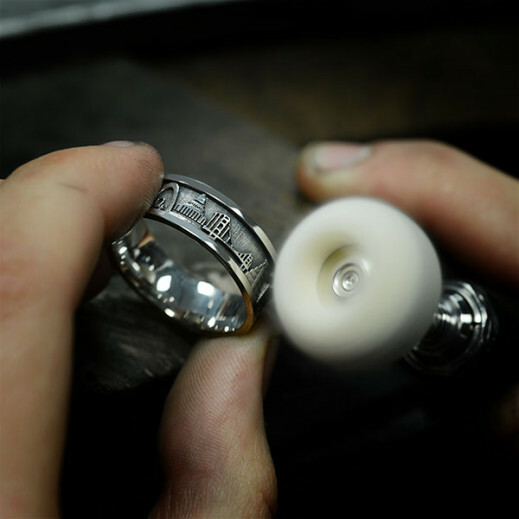 These Architecture rings, like all TOURNAIRE jewelry, are exclusively designed and produced in France, in the Maison TOURNAIRE’s workshop, with high standards of excellence, which ensure mastered and controlled production. 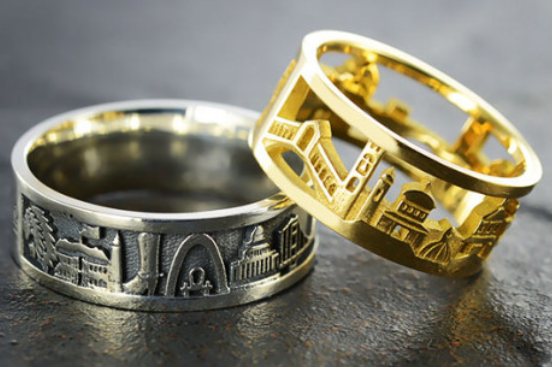 Select your metal, gold or silver first: depending on your finger size, the maximum number of buildings on your ring will vary. Click and simply drag the monuments of your choice from the upper band to the bottom one. Once satisfied with the design, order it. Like all our Maison Tournaire creations, your unique ring is entirely made in France by jewelers and you receive your unique creation at home within approximately seven days. To know more about SOLIDWORKS Sell, go to https://www.solidworks.com/product/solidworks-sell-ecommerce or watch this video below to learn the basics of how you can use SOLIDWORKS Sell to enable your customers to personalize products, while keeping the emotional attachment to your brand. Jean Jacques is a Director of Sales for Dassault Systèmes.